In a shift from an April decision to regulate rather than prohibit synthetic cannabinoids, the government of New Zealand's ruling National Party has moved instead to ban them by the end of this week. It is rushing to amend the Misuse of Drugs Amendments Bill to criminalize some 43 fake weed products currently on store shelves. The move will create an emergency 12-month ban while the government crafts a detailed response to the Law Commission's May report on psychoactive substances, which noted that under current New Zealand laws, "a psychoactive substance can be manufactured, imported, and sold without restriction until it is proven harmful and is either regulated or prohibited." The commission called for that burden of proof to be reversed, so that the industry would be required to prove its products are safe. "We are going to create temporary class drug orders that will allow me to place a 12-month ban on these currently unregulated psychoactive substances and any new ones that come along," Associate Health Minister Peter Dunne announced. "The bottom line is that these products are generally untested and we do not know the long-term effects of their use and we are not about to just let it all happen and pick up damaged young people at the end." The cabinet would be "looking carefully at crafting permanent legislation in the foreseeable future," said Prime Minister John Key. "We are not going to stand by while these substances are constantly being created and being made available for sale," he added. Synthetic cannabinoids, or "cannibimimetics," in the Law Commission's parlance, are synthetic compounds that mimic the action of THC, producing highs similar to that of natural marijuana. The compounds are sprayed on herbal material and sold in corner stores under names like Spice and K2 in the US, although Kronic appears to be a favorite name in Australia and New Zealand. Under the emergency action, fake marijuana will be carry the same penalties as Class C1 drugs such as marijuana, but mere possession of it will not be a criminal offense. "We are sending a very strong message that we don't think there is any case for these drugs and we believe they should be taken off the marketplace and we are sending a message to young people that we don't want them taking them," Key said. "It's unacceptable to the government that a product that causes potentially lethal risks is available freely to our young people. If someone's in possession of the products for their own personal use, they could continue to legally use it." The opposition Labor Party is also supporting the temporary ban. "The government needed to act, you can't have product out there with potentially damaging effects. You should ban the product until they can prove it's safe," party leader Phil Goff told TVNZ's Breakfast Show Monday morning. But importer Matt Bowden, who seeks regulation of fake marijuana, warned that prohibition would lead to more potent drugs being developed and would create a black market and empower organized crime. Another interested party, Chris Fowlie of the Hempstore, which sells the products, told TV ONE that despite sensational reports in the media, there are no actual scientific, peer-reviewed studies that back up the sometimes lurid accusations of harm. "Well, they aren't making it up, but they aren't peer reviewed, so for all we know they could be talking about the same person complaining many times, it could be one particular brand causing all the problems, we don't know, so until we have those studies, it's guess work," he said. "The law does say that the classification of drugs does have to be based on evidence, that's built into the misuse of drugs act and Peter Dunne is ignoring that." Fowlie predicted that the ban will create new problems. "Firstly you will see retailers dumping stock, we for one will be having a big sale to get rid of everything we've got, and you will see new products come out immediately after the ban." The government of New Zealand plans to regulate and restrict access to legal synthetic cannabinoids, government spokesmen said last week. Under the plan, synthetic cannabinoids could not be sold to people under 18, and they would face regulation of their packaging, marketing, and sales. The government is following the advice of the Expert Advisory Committee on Drugs, which reviews controlled drugs and other psychoactive substances and recommends how such substances should be classified. The committee found no basis for banning fake pot, but said it was unacceptable for the products to be available without regulation. 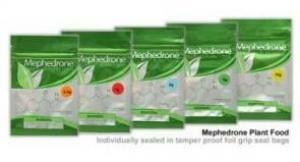 Products containing synthetic cannabinoids have appeared in markets worldwide in recent years, typically sold as "incense" under brand names including Spice and K2. A number of European governments have responded by banning the substances, as has the US DEA, which imposed an emergency ban earlier this year. Americans states have responded similarly, with more than a dozen of them imposing bans before the DEA acted, and moves are afoot in other state legislatures this year to enact more bans. California, however, responded similarly to what is proposed in New Zealand, banning it only for minors. Under the New Zealand proposal, in addition to the ban on minors, sales would be banned in places where minors gather and there would be restrictions on advertising. Fake pot products would have to be sold in child-resistant containers and would have to be labeled with the synthetic cannabinoids they contain. Moving synthetic cannabinoids from an unregulated substance to a restricted substance under the Misuse of Drugs Amendment Act of 2005 will require parliamentary approval. Nebraska banned synthetic marijuana February 24, as an emergency measure passed by the legislature and signed a day earlier by Gov. Dave Heineman (R) went into effect. The bill, LB 19, adds a group of synthetic cannabinoid compounds to Schedule I of the state's Controlled Substances Act, and will punish their possession, production, and distribution like marijuana. "It slams the door on manufacturers," said bill sponsor Sen. Beau McCoy (R), dealing a blow to the state's so far invisible synthetic pot manufacturing industry. 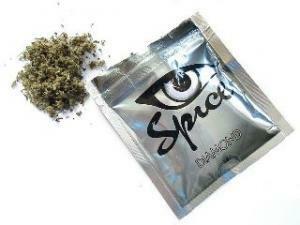 Synthetic cannabinoids mimic the effects of marijuana. The chemicals are typically sprayed on herbs and then packaged and marketed under names like Spice and K2. Such products began appearing in recent years and gained popularity as a legal alternative to pot, but their appearance also excited reflex prohibitionist instincts among police and politicians across the land. Nebraska joins more than a dozen states that have moved against fake pot. The DEA had moved to ban the substances nationwide as of last Christmas Eve, but that effort had been blocked by organized retailers' groups until the DEA announced that the federal ban had gone into place Tuesday.